Good news for the Ag Museum quilt this month! 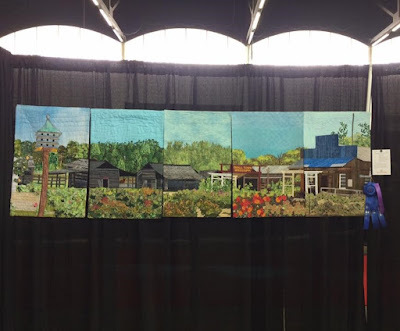 It won a blue ribbon in the Quilters Guild of Dallas show and also the Mississippi Cultural Crossroads Port Gibson show. 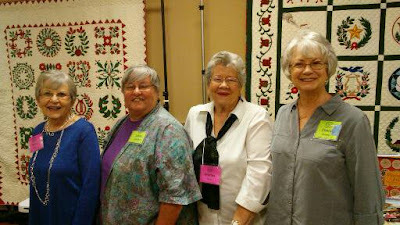 Dallas is a 400-quilt show, with 30 entries in the Group category--stiff competition. Port Gibson ribbon winners will be displayed at the Mississippi Museum of Art in Jackson from June-August, a definite honor. My son and his wife live in Dallas and went to see the show (at mom's suggestion!). They have a neat little boutique--The Laughing Willow--in the Bishop Arts District of Dallas that I love to tell people about. 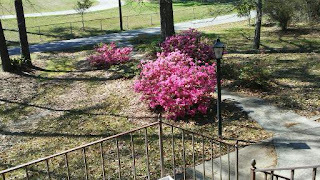 Spring is officially here, though it has actually been here for about three months. I finally quit worrying about another frost and planted snapdragons, zinnias, vinca, and coleus. 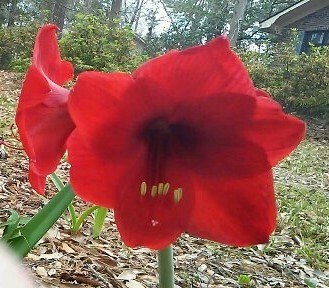 I'm not a very adventuresome gardener--old favorites are just fine. A friend shared her purple Iris last fall and I'm eager for these to bloom on the healthy growth they already have. We celebrated 25 years of Mississippi Quilt Association at the February Gathering in Brandon on February 17-18. Quilts made by former presidents were hung all around the hall, and what a stunning display it was. 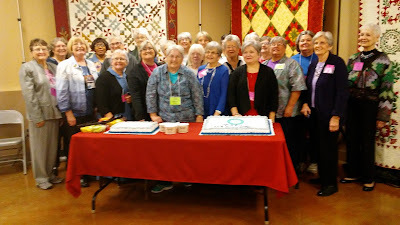 We recognized many presidents and charter members, awarding lifetime memberships and talking over memories and joying in our accomplishments. 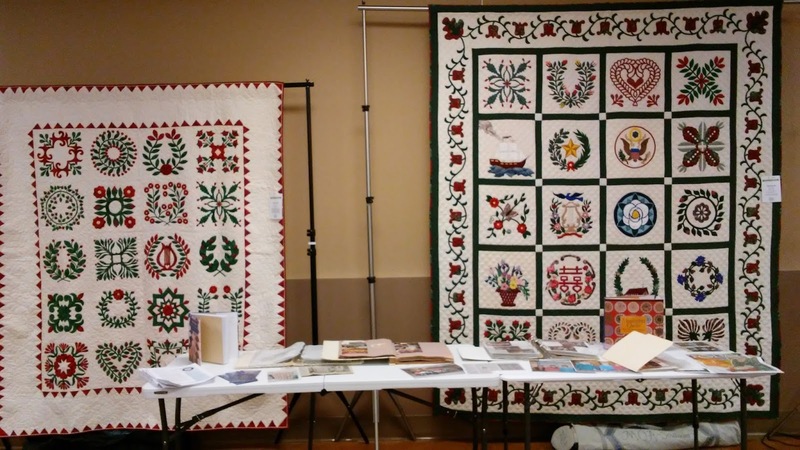 Had it not been for Carol Vickers heading up the search committee, our documentation project and resulting book, Mississippi Quilts, would have never come to fruition. 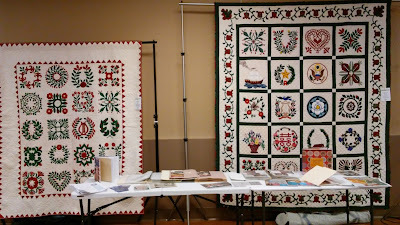 We admired the quilts on display and caught up on news of people who were no longer able to attend. We laughed about the story of Sandra Plummer and her preacher husband coming upon an overturned truckload of buttons on the highway. 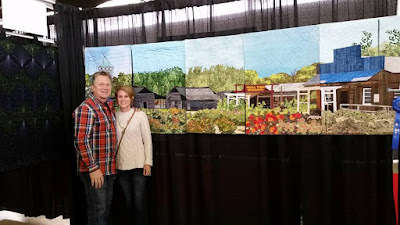 She had him pull over and park (in the driveway of a beer joint), and they picked up as many buttons as fast as they could before a church member saw their car. 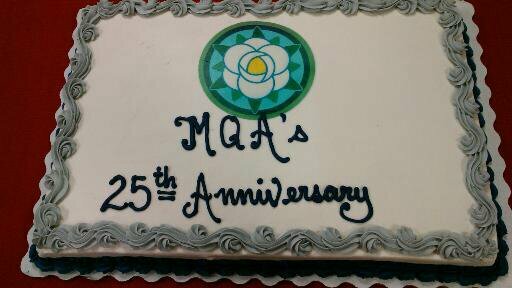 We reminisced over some of the great memories and celebrated friendships that we are thankful for today.